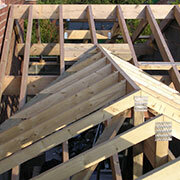 A S Jackson Joinery & Building serves the needs of major house builders and contractors across the northwest. We have a large variety of properties we have worked on from affordable housing, semi detached, town houses, bungalows and 4/5 bedroom detached executive homes. All of our joiners are time served, hold valid cscs cards and have ITW nail gun training.